Introduction: In today’s mobile scenario, nearly 83% of US adults own cell phones, and around 42% of these own either Smart phones or iPads. More importantly, research studies have shown that nearly 87% of Smartphone users access the Internet or email on mobile devices and not necessarily on PCs or laptops, with nearly 67% using internet access on daily basis all across the USA. The medium is indeed massive and just waiting to be fully tapped and integrated into social media marketing and networking. Facebook, Twitter, Pinterest, Orkut, Google+, MySpace and Tumbler have changed the dimensions and contours of social media networking over just short period of time, and their utility and usefulness are still growing booster, with each passing day. A large chunk of social media marketing is carried out by Facebook with over a billion users. Twitter is right behind with around 300 million users. The phenomenal success of these social media networks could be harmoniously integrated into mobile too. Most users now access Facebook and Twitter through their mobile devices and thus the marketing scope is indeed tremendous and growing with each passing day. Delivering social media marketing through mobile devices has now become imperative since many competitors have jumped into this bandwagon and many others are seriously contemplating on this marketing strategy. The messages subject line must be short and high placed along with company website and Facebook page for further details. 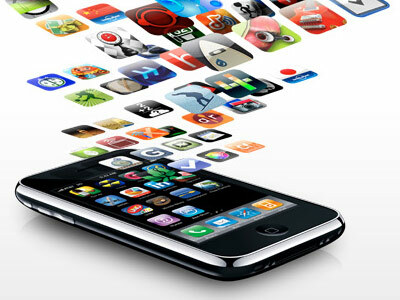 Social networking through mobile is indeed a fad with tremendous scope for future applications and prospects. Mobile phones are always present with customers when they enter stores for purchases. You could induce them to send MS or scan QR Code. There is need to put a sign in Cash Register to encourage such activities, offering savings coupon or special discounts as carrots. Socially active customers do have Facebook or Twitter apps loaded into their Smartphones. The deployment of a sign or poster that encourages them to connect with you in social media sphere could indeed propel major growth in this domain. However there is need for offering them strong bait for doing so. Conclusion: It needs to be remembered that such marketing strategies could only support better marketing but cannot drive them to your business. There is need to offer a proactive approach, offer greatly valued and sought after products and services and pamper the customer in every way. Gaining insights into customers, who they are and what they want are also important pointes that could help business grow and prosper. Over to you, what's your say about this brief content? The tips are clear and straight to the point. Social media and mobile are complementary for modern online marketing. It is critical for the marketer to ensure that the right actions and processes are employed to make them work. These tips should give us insights on how well to apply and adopt the best strategies to develop and improve social media and mobile marketing. Yeaaa, true talk. The world is computrized right now, so we should take advantage of it.